Students practice measuring a partners height in inches. They will then convert the inches into feet. 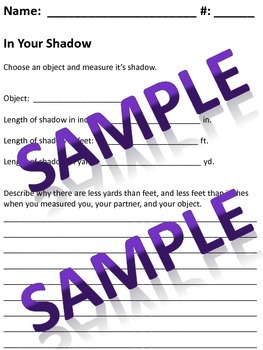 Next, students measure the length of their shadow in inches, and then convert into feet. 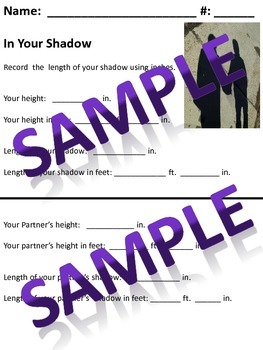 When finished, the students will measure the shadow of an object (basketball goals, swing-set etc.) in inches and convert into feet and yards.